Idaho as a state gets a lot of grief and not a lot of tourism. About the only thing an everyday person knows about Idaho is that it’s a strange shape on the map and that its where all the potatoes come from. Well in Boise the capitol of Idaho there is a little bit more to do then sit around and watch potatoes grow. Just in case you are considering watching potatoes grow I wish you good luck because they grow underground so watching well… would be a challenge in the least. The last time I travelled through Boise I took a tour of the city which consisted of the major historic parts and of course the Zoo. We went to the Old Idaho Penitentiary which was very fun and a real glimpse into the criminal history of Idaho. I also went by the old public library, an Anna Frank museum, and lots of other really neat places. The Zoo was one of my favorite places. I love animals they are a thing of wonder. 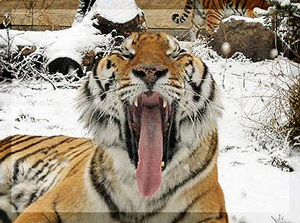 Zoo Boise has a large array of animals ranging from small birds to giant animals that roam the plains of Africa. Admission the Zoo Boise is only 6 bucks for adults and just 4.25 for kids between ages of 4 and 11. The park is open daily from 10 to 5 and during the summer it opens early at 9 am. Avis Rental Cars has the ability to provide you with the lowest rates for Rental Cars in town. Rates so low we are practically giving you a license to steal. Avis offers coupons and discounts for vehicles throughout the year including some the of the holiday and peak seasons. Be sure to check the latest rates and specials for Avis Rental Cars in Boise, Idaho! It shouldn’t come to a surprise to you that everywhere in Idaho serves potatoes. They are served friended, grilled, boiled, baked, and even dried. It’s a staple to the states and boy are they delicious. 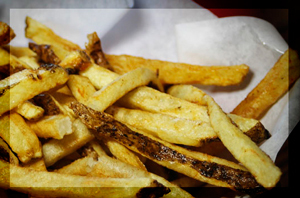 Perhaps the most popular type of potato in the US and perhaps the world is the French Fry. It’s a deliciously designed spice of potato deep friended and covered with a variety of spices. I fall right into the category of people who love those crispy fries. They aren’t very good for you but boy are they good. While in Idaho it just seemed that they got 10 times better too. As soon as we crossed the border I started having cravings for them, even the fries at the fast food joints seemed to be better. The place that really had the best fries in my opinion was Big Jud’s. If you watch the food channel you might have seen this wonderful place on Man Vs Food. You can try the same challenge that was on TV for just 28 bucks. It’s a huge 2 bound burger covered with bacon, mushrooms, swiss cheese, and a huge layer of blue cheese. Its massive but sounds so delicious, I wimped out and didn’t go for the big boy burger and got a little half pounder named the Super Bacon Burger. It was covered with ham and bacon, it was a heart attack just waiting to happen but I couldn’t stop each bite was better than the last. The fries that came with the burger were one of a kind. They looked like average French Fries but the taste was absolutely perfect.